There are many ways roofs get installed. There is only one right way. That's the way specified by the people who manufacture roofing system products. Directions are printed on every bundle of roofing shingles sold. Every single one. You might go to a local supply house and take a look. Jot down some notes. See if the roofer you are interviewing has a good grip on what manufacturers have to say. If your roof isn't installed to the manufacturer's specifications, your roofing material warranty may be toast. Decking can't be inspected for deterioration needing repair. Flashing can't be properly retrofitted without great care. The additional mass of two roofs establishes a heat bank. Heat is the enemy of the petrochemicals in your shingles and will decrease the life of your new roof. If the old roof is unacceptably deteriorated, the manufacturer won't honor their product warranty. An experienced roofer can advise you on this point. A salesman cannot. It's hard to make a silk purse out of a sow's ear. New shingles are thinner due to advances in technology. They tend to telegraph imperfections under them. Even if the roof is sound, it will look shabby. 2. Specify the use of step flashing and counter-flashing unless your budget is tight and your roofer agrees these measures are not absolutely necessary in your particular situation. If the person you're interviewing isn't familiar with these concepts, and can't give a clear explanation, be polite and don't do business with them. · Felt is an integral part of the system that protects your home from condensation. · Without felt your roofing system does not qualify for a UL Approved Class A Fire Rating. · Felt provides a slip shield or buffer between your shingles and the deck of your roof. · And in the old days, felt protected organic shingles from pitch that leaked out of knots in the wood. Fiberglass shingles still have organic petrochemicals. In my opinion, the shingles still need to be protected. Want to know why some roofers don't like to install felt? As we were saying earlier, modern shingles are thin. Any wrinkle in the felt will telegraph through. A professional can install felt so wrinkles aren't a problem. For others it's a time consuming process to be avoided. If budget is not a critical issue, be sure to stipulate the more expensive wrinkle-free felt supplied by GAF or Certainteed. Thirty Pound felt attached with simplex nails is acceptable for use with Architectural Shingles ONLY. Thirty Pound felt under light weight shingles may lead to telegraphing of the plywood through the shingles. Fifteen Pound felt is standard and is acceptable for all shingles. 4. Valleys should be protected with weatherwatch as per manufacturer's specifications and industry standards. At Dr. Roof, the preference is to use WEATHERWATCH OR STORMGUARD as liners for valleys and around all penetrations such as pipes, chimneys and skylights, as it is wider, stronger, self sealing around the nails, and affords better protection than most other flashings. Valleys should be built with the shingles either "woven" or cut in the "closed valley system". Dr. Roof uses the "closed valley system" or "California cut" because the line of the valley is cleaner and the shingles lie flatter than the "woven" application. Another consideration is that debris tends to collect in the junction of a "woven" valley, which can possibly cause a leak. 5. One final note. When shingles are "California cut", the cut is on the side of the valley from which the greatest volume of water is likely to come, not on the side of the steepest pitch as some maintain. Remember that valleys are a weak point in your roofing system. Installed properly they'll last the life of your roof. But if they are installed incorrectly, they will be a headache until they are torn out and installed properly. 6. Make sure your roofing shingles will be installed with the proper nailing pattern. This is not a trivial point. The manufacturer's warranty is voided if your shingles are not nailed down properly. And it is no picnic when shingles start blowing off because they have not been nailed down according to specifications found on each package of shingles. Galvanized roofing nails should be used: four per shingle on typical installations, six per shingle on mansard roofs. A nail should be placed 1" in from each side and directly over each of the two tab cuts. The nails should be 5/8" above the top of the tab cuts, but not in the tar strip. Adequate ventilation should be designed and installed if necessary. 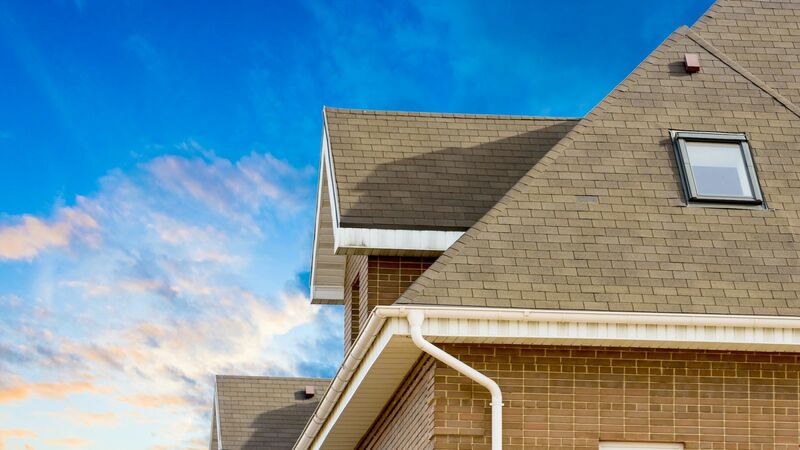 For starters, your manufacturer's warranty is void if specified ventilation is not provided for your roof, as proper ventilation will prolong the life of the shingle. But that is just the beginning of the ventilation story. Peeling paint, mildew, dry rot, insulation problems, and warped framing members often result from poor ventilation. A professional roofer can how to best ventilate your particular home in both summer and winter. He should discuss the merits of power vs. passive systems as well as explaining how humidistats and thermostats operate. In my opinion, ventilation is the most important aspect of a roofing system. Make sure the roofer you choose knows the score with ventilation.